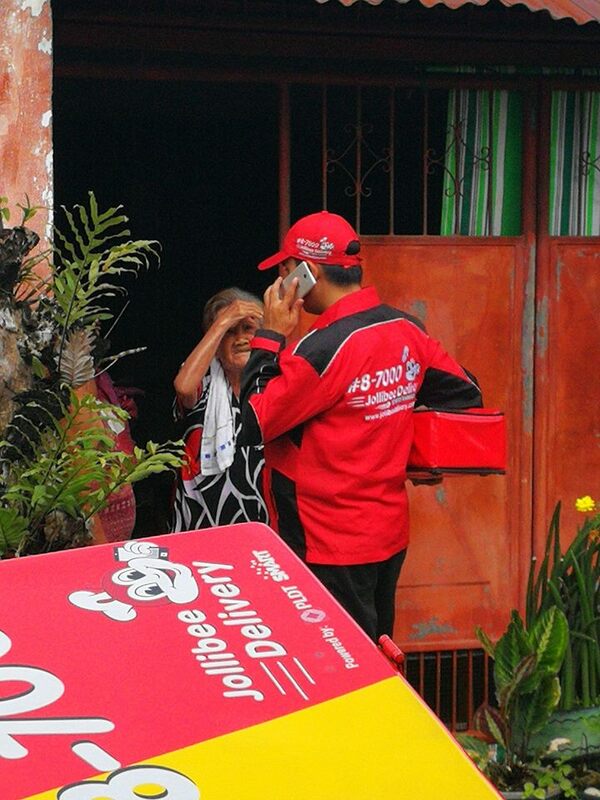 Netizen is moved by gesture of delivery guy ordering food for his 92-year-old neighbor. She said that the old woman saw her getting her food from the Jollibee employee and proceeded to order her own from the delivery guy. As people get older, they become more persistent. This sometimes drives other people to the point of annoyance. 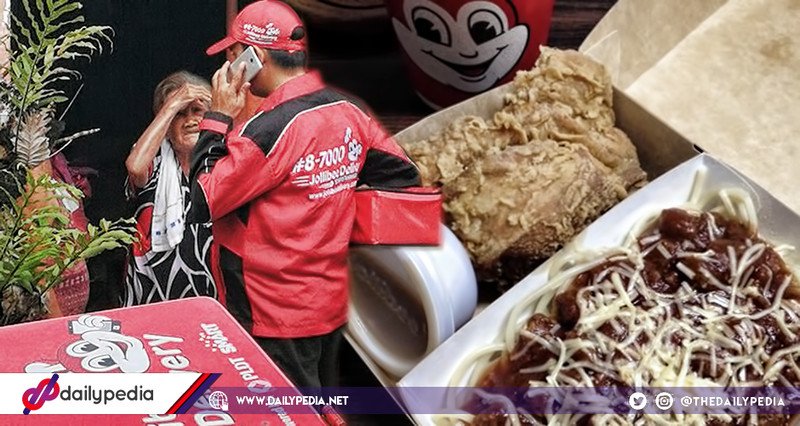 One Jollibee delivery guy, however, was praised after he entertained a grandma who just wanted to order food. Facebook user Maris Mayol Tian shared the cute scene on Facebook, narrating how her 92-year old neighbor saw her getting her breakfast from the Jollibee delivery guy. After she got her order, the old woman called the delivery guy over and asked him about his job. After learning about his work, the lady proceeded on telling him her order. So I just ordered my breakfast from Jollibee and my 92 YEAR OLD neighbor saw me with the delivery guy. As most people would get quite annoyed over the situation, the guy actually took out his own phone and ordered her food for her. I honestly thought he would just ignore her, laugh and be on his way, but he actually took out his own cellphone, dialed a number, and ordered for her!!! There was a time when I hated Jollibee‘s delivery service because they messed up a few times, but now I think I’m going to order more delivery from them. Netizens praised the delivery guy for his patience and willingness to help the grandmother. Bernadette Capulong Tia said that because of that, Jollibee will now be her first choice. Katherine Anne Jimenez shared that she got a bit emotional because of the post. Facebook user Bern Bueno said that even though Jollibee’s delivery service is often late, it’s still her favorite. Fritzel Cadorna Tabaque commented that the guy is how all delivery guys should be like. The post surpassed 51,000 shares as of this writing.